Gutenberg's release is growing closer every day and concerns about backwards compatibility are becoming more urgent. There's an old saying - if you can't measure it, you can't improve it. With that in mind, WP Sandbox is happy to announce our partnership with Daniel Bacchuber in creating the Gutenberg Plugin Compatibilty Database. Right around Gutenberg's first birthday, Daniel approached us with an interesting problem: we need a way to test every single plugin on the WordPress plugin repository. Each in its own WordPress install. And these installs need to be created fast. This is precisely what WP Sandbox was designed to do. Here's how we've set up the installs for the compatibility database. First we created a Sandbox install, and added some dummy data along with the Gutenberg plugin. This install will serve as a template for all the installs people will be using to test all of the plugins. 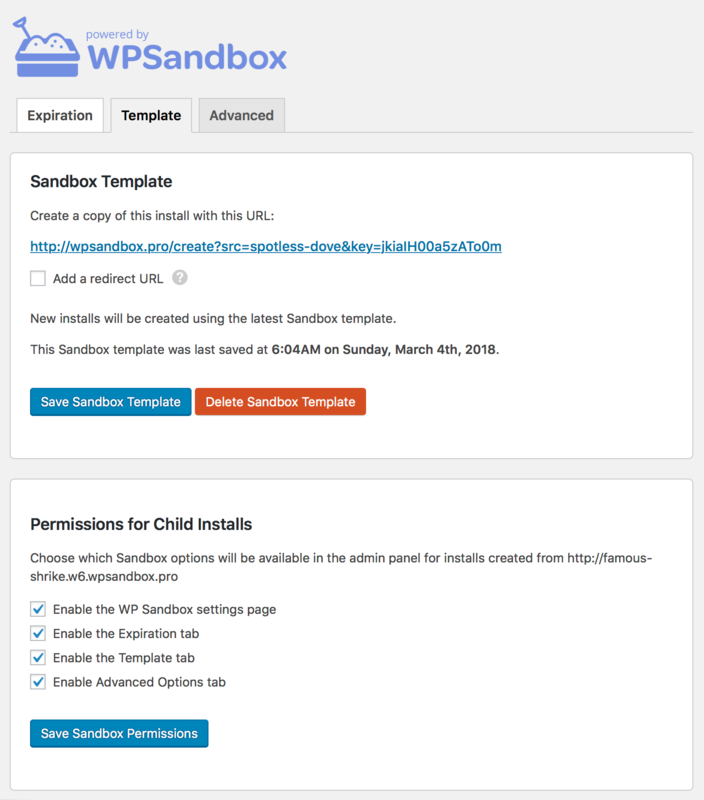 To create a template, we go to the Template tab in the WP Sandbox plugin on our install, and click Create Sandbox Template. This will save a snapshot of the current install and then provide a duplication URL. Clicking the duplication URL creates a new install using the saved snapshot, and then logs you in to the admin panel. Next, we need a way to dynamically add the plugins that users will be testing. For that we'll add the ?plugins URL parameter to the duplication URL. 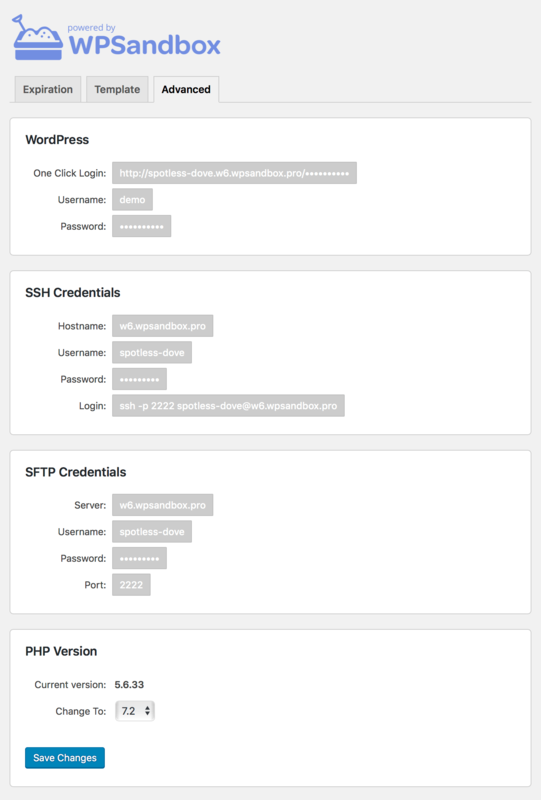 You pass the URL parameter the slugs of some plugins, ?plugins=wordpress-seo,wpterm,wp-all-import, and WP Sandbox will install those plugins in your new WordPress install while it's being created. Finally, we want to save some time and redirect the user right into the edit post page. For that we'll use the ?url parameter. All you need to do is pass it the path of the URL where you want the user to be redirected, like this ?url=wp-admin/post-new.php. Let's it a try with Maps Block for Gutenberg, a plugin that is probably a pretty safe bet in terms of Gutenberg compatibility. While you're there, feel free to check out the Advanced tab and play around with some of the more developer-oriented features, like SSH, PHP version switching, etc. So far only around 50 plugins have been tested using the new service. There are, however, already signs that Gutenberg has a long way to come before it is compatible with the vast library of plugins in use today. We'll have a better idea about exactly what needs to be done once the first round of 5000 plugins has been tested. Daniel estimates that it will take around 75hrs to complete testing for this first round. If you're interested in lending a hand, head on over to https://plugincompat.danielbachhuber.com and start testing! WP Sandbox is so valuable to us at WP All Import. After using it for years internally, I was able to convince Soflyy to open it up to everyone for a monthly fee.